International organisations are the repository of many works of art, but little is known by the public of their vast collections. The UN’s World Intellectual Property Organization in Geneva hosts over 500 works of art, some of them displayed in public spaces, most of them in storage, their value unclear. They have been gathered since the inception of the organisation, before it became WIPO in 1970, most of them given or loaned. What is considered works of art include a diversity of items. 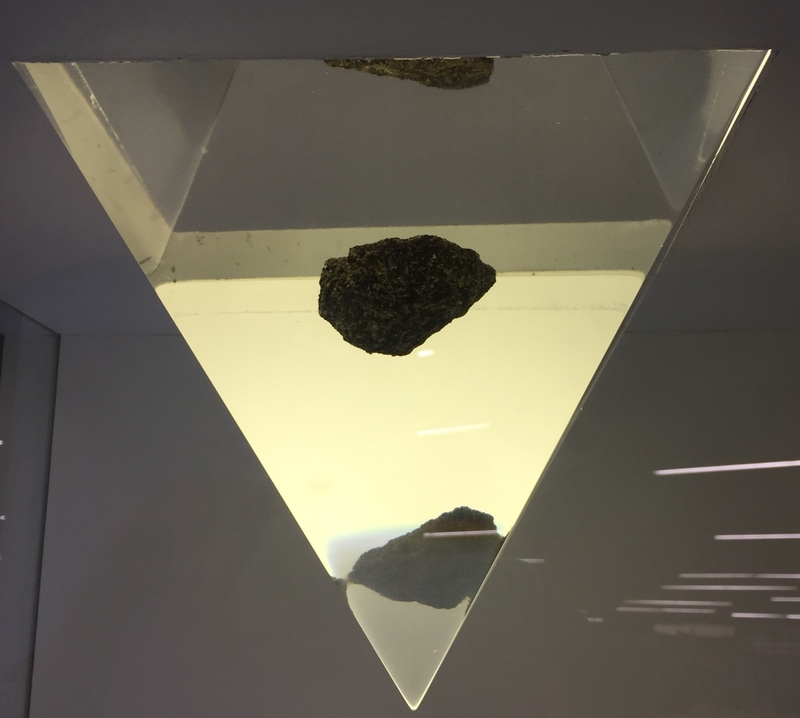 The most unusual and rare, a piece of the moon, sits in full view in a glass display in a lobby. According to Isabelle Boutillon, director of the Premises Infrastructure Division at WIPO, about a third of the WIPO collection are commemorative objects, which bear inscriptions detailing an event, or a special occasion. They include paintings, sculptures, tapestries, objects made of wood, glass, and fabric, and even trees and plants. A number of those works of art would best be described as handicrafts, she told Intellectual Property Watch. The majority of the works of art hosted by WIPO were given to the organisation on a variety of occasions, such as a visit to WIPO by officials, or a visit by the WIPO director general, or in celebration of an anniversary of a treaty accession. 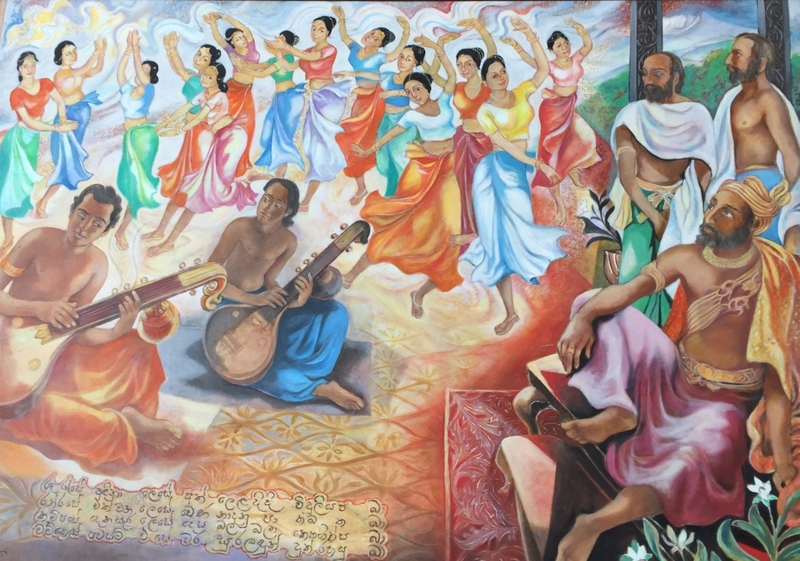 They were also given by non-governmental organisations, private entities, and individuals, such as a painting in the main lobby donated by Suganthi Kadirgamar, spouse of the late Lakshman Kadirgamar, former minister of foreign affairs of Sri Lanka, assassinated in 2005, a former WIPO director of the Bureau for Asia and the Pacific. A few of them are on loan, such as the rock from the moon, from the United States. 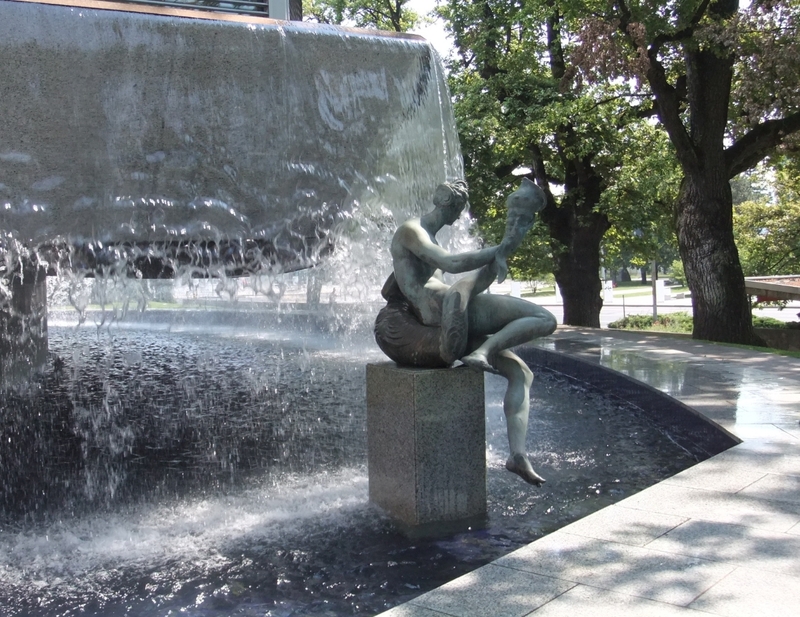 Some of the works of art were actually ordered by WIPO, and were part of the original construction projects, such as the nymphs in the fountain below the main building. The WIPO garden also hosts a sculpture of two cheetahs, commissioned by WIPO in 1995 for the 25th anniversary of the Patent Cooperation Treaty, she said. Well known to WIPO delegates is the mural decorating “meeting room A” of the WIPO main building, which illustrates the story of Blue Beard, a popular fairy tale, which was given by the government of Hungary and created by Kornelia Bokor. Asked about a financial estimate of the art works collection, Boutillon said there is no publicly available valuation of the collection. The works of art appear in the financial statements of the organisation as CHF 0, as is done in most United Nations organisations, she said. Valuations are sometimes done for insurance purposes, she added. But she declined to give an estimate of the value of the collection. A number of items are in storage and those which are not are displayed in the public space of the WIPO buildings and floors, some of which are visible to the public, according to Boutillon. Some items are displayed on various occasion on demand after which they are returned to storage, she added. In the WIPO “Georg Bodenhausen” building, adjacent to the 13-floor Arpád Bogsch tower building, during the early 2010s extensive renovation work of the north side of the ground floor, a mosaic was uncovered under wooden panels. 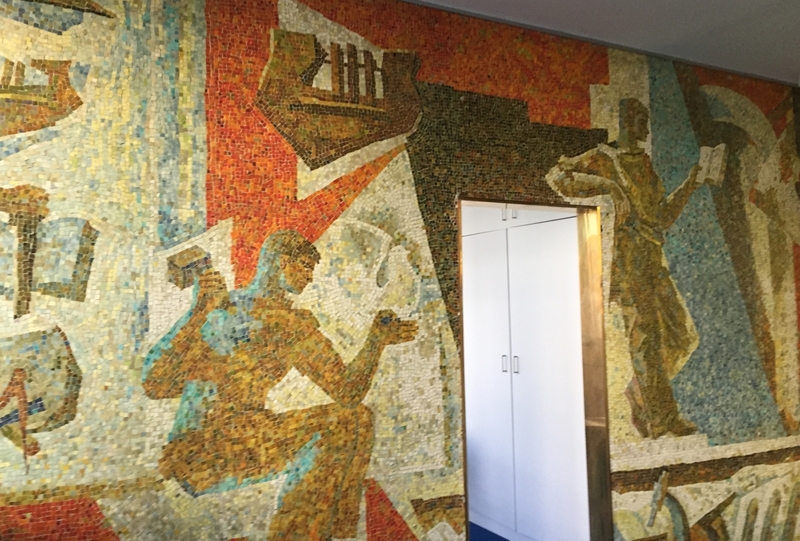 The mosaic was initially given by Romania to WIPO in 1959. In the late 1970s it was covered by wooden panels during the transformation of the ground floor of the Georg Bodenhausen building to connect it with the Arpád Bogsch building and to accommodate for a custodian apartment. It was later forgotten. It is not currently accessible to the public. The WIPO external auditor, in his yearly report [pdf] presented this week to the WIPO Program and Budget Committee, made some remarks about missing recordings in a WIPO database of items qualifying as works of art (IPW, WIPO, 7 September 2018). WIPO, in its response said only one item was actually missing and search for it is ongoing. According to Boutillon, “Unfortunately, in managing large inventories involving non-static assets, an object may be temporary misplaced which is likely to be the case here. We are continuing to search for this object and are confident that it will be retrieved.” WIPO declined to give a description of the object to Intellectual Property Watch. “Scenic Guilin”, donation by China for the 100th anniversary of the Berne Convention (1886). The external auditor in his report recommended that if the missing work could not be found, it be reported to the General Assembly, the annual member state meeting taking place at the end of September. But WIPO rejected that recommendation, saying it is not required to do so. But WIPO did accept the auditor’s recommendation to carry out risk assessment and review of existing measures to assess whether additional security/protection measures are needed for works of art. "WIPO, Global Protector Of Creators’ Rights, Hosts A Sizeable Art Collection Itself" by Intellectual Property Watch is licensed under a Creative Commons Attribution-NonCommercial-ShareAlike 4.0 International License.